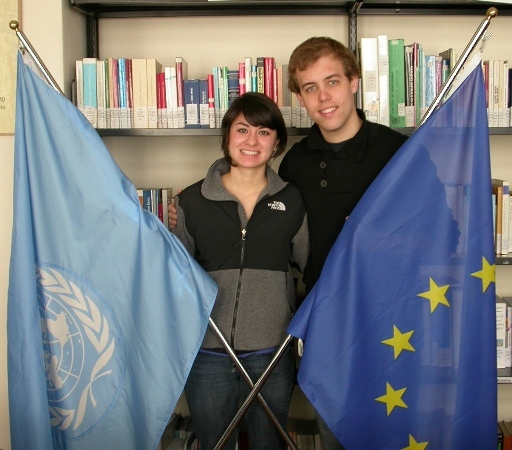 While studying abroad at the University of Padua for the 2009-2010 academic year, Ryan Johnson (University of California San Diego) and Lani Reed (University of California Santa Barbara) spent a semester working together on a topic of mutual interest for their internship at the Human Rights Center. As their topic of focus, they chose to analyze and explain in detail the evolution, current status and future developments in American environmental policy, with respect to domestic as well as international policies. The purpose of focusing on American environmental policy in specific was to evaluate the nation's position and level of progress over the years, and to review American policy in the context of international environmental efforts. Their inspiration came from the Copenhagen Conference, which both came into session and ended during their work. The build-up to the Conference was marked by high hopes throughout Europe, as environmental policy-making came to the forefront once again, and these sentiments and the relevancy of the topic without a doubt inspired their research. COP15 became the contemporary event upon which the research paper began, the ending point for past actions and the starting point for future possibilities. To properly contextualize recent events, their report first catalogues the major developments and policy decisions that began shaping environmental politics far prior to the Copenhagen Conference and Obama, both within the United States and at the international level. First listed are the major UN conferences and treaties that have taken place throughout the history of international environmental policy, with explanations of how these conferences have set a standard for progress and brief statements on the position of the United States. The next section summarizes in detail the history of environmental policy at the domestic level of the United States. It explains how environmental policy is formulated and implemented in the United States, ultimately concluding that local level action and in specific, action on the part of the state, is often the most effective way to take environmental policies a step forward. The section then explains how the foundation and standards of American environmental policy have been developed by the relatively effective Clean Air Act and its various amendments. Their research then includes specific sections dedicated to the analysis of environmental policy under the Bush and Obama Administrations. Finally, commentary is offered on what can be expected from Obama, the United States, and the international community in the future of policy-making, and what may be the best step forward for the United States after the relatively unsatisfactory outcome at Copenhagen.